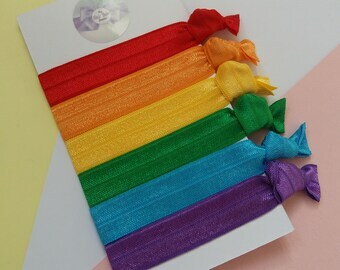 Handmade, snag free hair ties made with fold over elastic - can also be worn as a cute little wrist band. 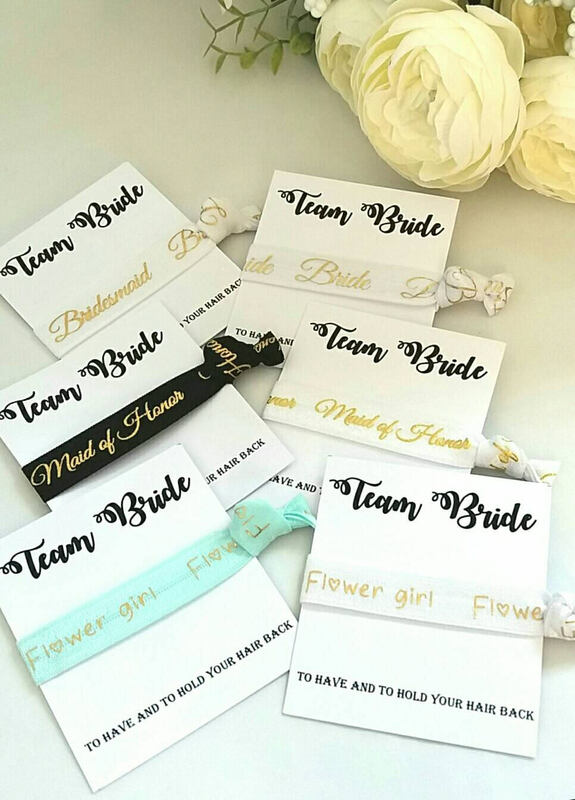 Great little party bag fillers/gift for hen nights / bridal showers. Ties measure approximately 7cm across. Price is for ONE hair tie, presented onto a card reading 'Team Bride' 'To have and to hold your hair back'. Please select your choice of hair tie from the drop down menu.